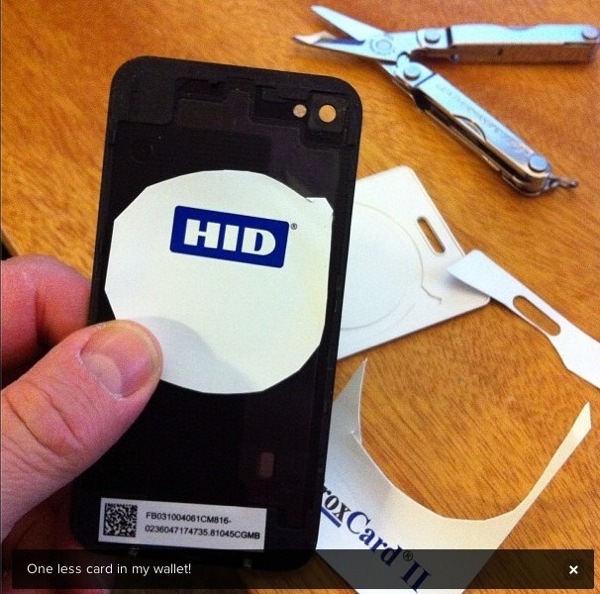 More RFID cards inside iPhone backings… « Adafruit Industries – Makers, hackers, artists, designers and engineers! I did a very similar thing with the keycard to my workplace a while ago. It read fine even through the metal of the stock iPhone back. However, though the back seemed to close fine on the pieces of the keycard, it caused the glass to bow slightly and the glass eventually broke when the phone suffered a light impact. I’m going to try again with a custom wound antenna and Kapton tape.